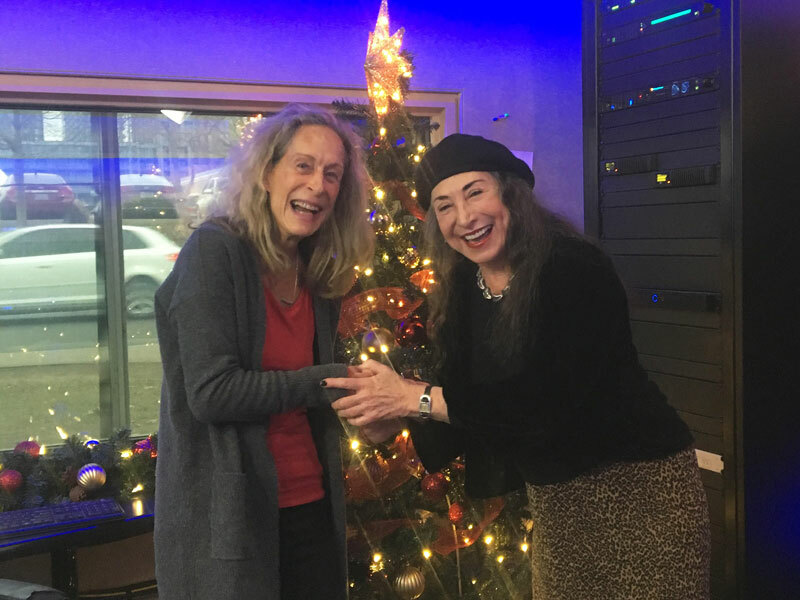 Marilyn Lightstone returns to The Oasis to talk with Alexa Petrenko about this Friday’s “Your All-Time Classic Hit Parade” Christmas special on VisionTV. Gather with family and friends and join host Marilyn Lightstone and The Zoomer Players for a fun variety and sing-along show featuring the songs you want to hear and the stories behind them. This updated take on the classic music/variety series features captivating performances of hit songs featuring our fabulous Zoomer Players with chances for our studio audience, and of course everyone at home, to sing and dance along. Joining Marilyn in the Zoomer Players are Music Director and pianist David Warrack, violinist Moshe Hammer and the Zoomer Band, and vocalists the Ault Sisters, Thom Allison, Simon Spiro and Judy Marshak. Recorded in front of a live audience in the intimate setting of Zoomer Hall, Your All-Time Classic Hit Parade gives context to the songs, anecdotes about the time and place they were composed, as well as stories about the composers, performers and world events that were happening in the song’s era. These are the songs many grew up with and loved. The songs that we sang, and are still singing today. Join us on Your All Time Classic Hit Parade for an exciting look at some of the greatest pop music ever created. New Season of “Your All Time Classic Hit Parade” (11 brand new shows) begins Friday, January 4, 2019 at 8:30pm as part of “Sing along Fridays” On VisionTV.